The Devil’s Workshop, a fine local silversmithing studio, is moving into their new digs at 890 Queen Street West today. Not only do they sell lots of cool jewels, they also teach classes in silversmithing, casting and wirework. Plus they’ll even help you make your own wedding bands and bridesmaid jewellery. Speaking of the Devil’s Workshop, pictured above is another classic do over — I had but one half of a pair of enormous vintage Mexican grape earrings. 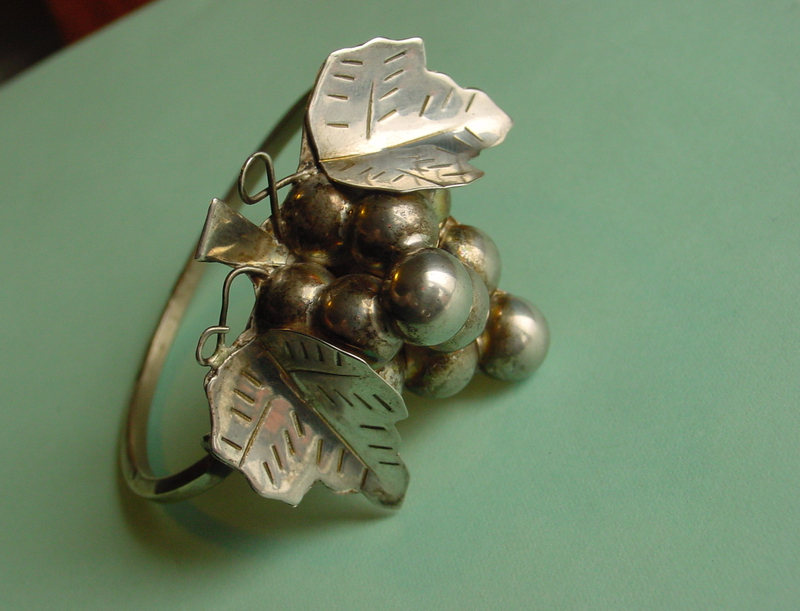 And I had part of a hinged sterling bracelet. It seemed obvious to me that the pair could be joined. So I took them to the Devil’s Workshop and they put the pair together quite nicely I must say.